Renowned chamber musicians Firebird Trio will transport audiences back in time to the era of Beethoven and showcase two dramatic and virtuosic pieces at Hawthorn Arts Centre on Friday 26 October. 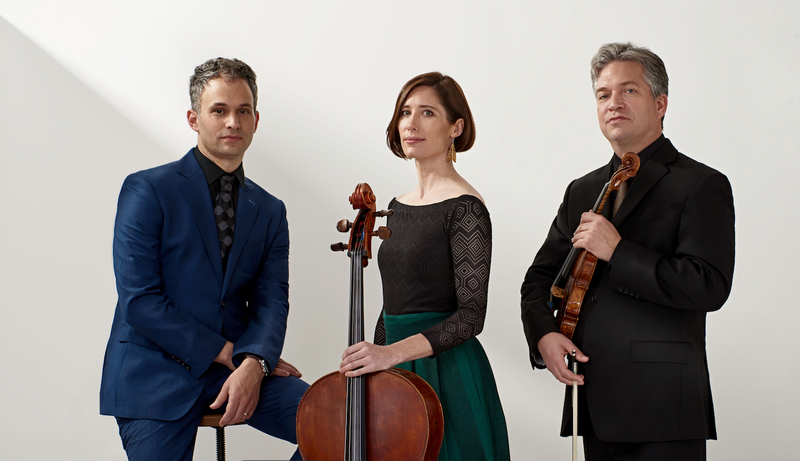 Firebird Trio is made up of three of Australia’s most respected chamber music performers – pianist/composer Benjamin Martin, violinist Curt Thompson and cellist Josephine Vains. The trio will bring to life Beethoven’s iconic “Ghost” Piano Trio in D major and the fiery Piano Trio in C minor Op.1 No.3 – two works which are as dramatic and relevant today as they were over 200 years ago. The performance will explore the darkness of Beethoven’s soul as well as his luminescent humanity and passion. Audiences will be immersed in a rare concert experience that envelopes the room in an unusual ‘in-the-round’ staging. Expect the glow of candlelight and the grand acoustics of Hawthorn Arts Centre intensifying the dark sounds of Beethoven’s music. Readings of his letters will be interlaced and recited by Peter Burch throughout the night. Firebird Trio has performed all over Australia including Melbourne Recital Centre, Noosa Long Weekend Festival, Coffs Harbour Music Society, Camberwell Music Society, Macedon Music, 3MBS Marathon and ABC Sunday Live. Violinist Curt Thompson currently serves as Associate Professor and Head of Strings at the Melbourne Conservatorium of Music, where he is a founding member of the Ormond Quartet. Josephine Vains is a cellist and an esteemed educator. Her career has brought her to concert stages across Asia, Europe, Australia, North America and the Caribbean. She currently teaches at the Victorian College of the Arts Secondary School, the Melbourne Conservatorium of Music and Monash University. Hawthorn Arts Centre presents an exciting and varied arts program and is home to performance, exhibition, workshop and events spaces. Visitors can enjoy refreshments at the Events Bar or explore Hawthorn and discover the area’s culinary delights.